District trustees approved a plan to include Braille as an elective for Longview High School students during Monday night's regular meeting. LISD Director of Special Education Dr. Maureen Lewis told board members that the course would begin next school year (2019-2020) and the course will provide instruction in pre-Braille skills, tactual discrimination, the reading and writing of the braille code, "as well as the development of efficient Braille reading including fluency and comprehension." "The reading and writing course will emphasize the conventions and mechanics of Braille," she said, adding that the approved course may serve as state graduation elective credit only and is not approved to substitute for any required state graduation requirements. Since it was developed by Louis Braille in the 19th Century, the alphabet of raised dots has brought the joy of reading to millions of blind and partially-sighted people. 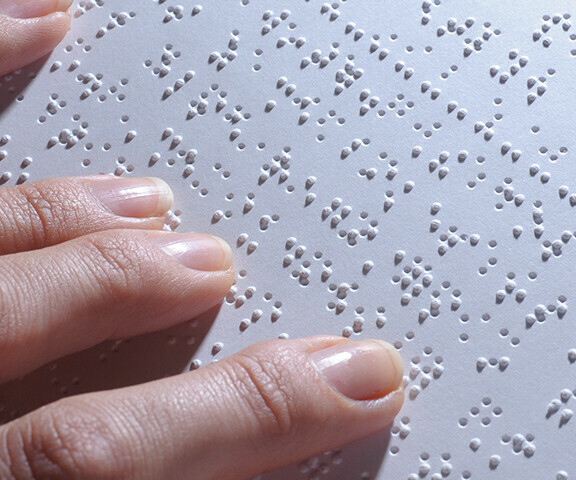 Braille is a system of writing which depends on the drawing of characters through distinct fixed size points or raised dots that can be felt and read. The board also accepted a bid for a makrketing plan from Encore Multimedia to be used in the district's School Choice Program. Funding will come from the MSAP grant. Trustees meet in the boardroom of the LISD Education Support Center, 1301 E. Young St. The next regular meeting is tentatively scheduled for 6 p.m. Feb. 11th.